Manufacturer of a wide range of products which include acrylic polymers, amino trimethylene phosphonic acid, dtpmpa chemical, hydroxyethylidene diphosphonic acid, polyacrylate polymer and polyacrylic acid. Chemtex Speciality Limited is involved in the manufacturing of a wide range of Acrylic Polymers that function as Scale inhibitor in water treatment of cooling tower, boiler and reverse osmosis. The acrylic polymers of high and low molecular weight function differently in separate application. This chemical compound has gained tremendous appreciation in the past few years. Acrylic Polymers fall under a group of polymers which could generally be referred to as plastics. They are known for their resistance to breakage, transparency and elasticity. They are also commonly known as acrylics or polyacrylates. This Acrylic Polymers serves as Flocculants for water treatment process. It is a high performance flocculants. Amino Trimethylene Phosphonic Acid (ATMP) is a phosphonate that finds its biggest application in water treatment. 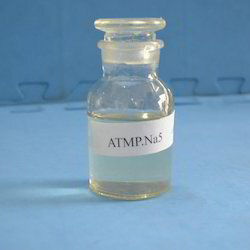 ATMP are available in salts of sodium compounds such as ATMP 2Na (Amino Trimethyl Phosphonic Acid - Disodium salt), ATMP 4Na (Amino Trimethyl Phosphonic Acid - Tetra sodium salt) etc. 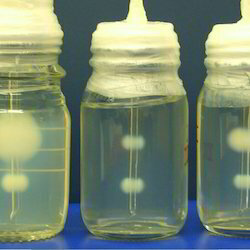 The product is commercially produced in liquid form as ATMP 50%. Amino Trimethylene Phosphonic Acid (ATMP), provided by Chemtex Speciality Limited, consists of properties such as low threshold inhibition, lattice distortion, and exceptional chelation. This acid helps in the prevention of formation of calcium carbonate in water system. It exhibits excellent chemical stability, best corrosion inhibition and is difficult to hydrolyze in water systems. ATMP can be used in oilfield water pipeline in thermal power plant & oil refinery and in industry for circulating cool water system. DTPMPA Chemical or Diethylene Triamine Penta Methylene Phosphonic Acid is a nitrogenous organic polyphosphonic acid that is widely used as a chelant and having anti-corrosion characteristics. DTPMPA Chemical, offered by Chemtex, is normally delivered as salts, because the acid form has very restrained solubility in water and shows the tendency of crystallizing in concentrated aqueous solutions. This chemical accounts for better scale and corrosion inhibition properties compared to other phosphonates, at high alkali and high temperature. 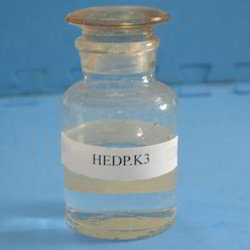 HEDP or Hydroxyethylidene Diphosphonic Acid serves as an organo phosphonate compound having multifunctional properties such as deflocculation, sequestration, and super threshold inhibition as a single active ingredient. HEDP are available in salts of sodium compounds such as HEDP 2Na (Hydroxyethylidene Diphosphonic Acid - Disodium salt), HEDP 4Na (Hydroxyethylidene Diphosphonic Acid - Tetra sodium salt) etc. 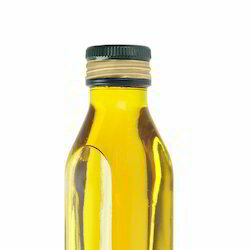 The product is commercially produced as HEDP 50% / 60% in liquid form. It serves as a scale and synergistic corrosion inhibitor for inhibiting iron rust and mineral scale in pipes of cooling circulation water units and boilers. It also acts as a metal chelate agent for colour fixing and bleaching in textile and also functions as a complexing agent for electron plate and scale cleaning agent for metals. Polyacrylate Polymer is a compound that acts as a scale inhibitor in water treatment of cooling tower, reverse osmosis and boiler. This formulation has achieved tremendous volumes in the past 5 decades. The Polyacrylate polymer of high and low molecular weight behaves differently with variable applications. Polyacrylate polymers are known for their transparency, resistance to breakage, and elasticity. This Polyacrylate polymer functions as a flocculant for water treatment. Chemtex Speciality Limited manufactures a wide range of the compound for helping out with scale prevention. Chemtex is involved in the manufacturing of a wide range of Polyacrylic acid of low and high molecular weight and compositions of mono (homo-polymer), bi (copolymer), terpolymer etc. Different formulations have different role in various applications depending on the type of role the particular application desires. 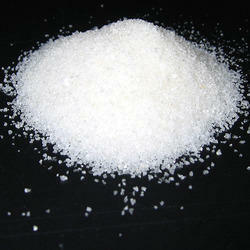 Polyacrylic acid or Polyacrylates are also available in solutions and salts. This Polyacrylic acid finds wide usage as a thickening and emulsifying agent in many industries such as cosmetics, pharmaceuticals and paints. 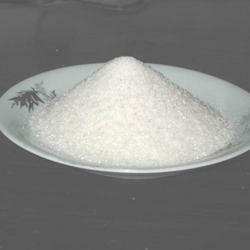 Polyacrylic acid and its derivatives are used in ion exchange processes. In a water solution at neutral pH, PAA acts as an anionic polymer, i.e. many of the side chains of Polyacrylic acid will lose their protons and acquire a negative charge. Chemtex Speciality Limited has been in this field of manufacturing industrial chemicals for the past 45 years and they are involved in the production of a varied range of polymers finding application in various fields. Polymer gels are comprised of cross-linked polymer network inflated with a solvent such as water. They exhibit the ability to reversibly swell or shrink due to small changes in their environment. Micro sized gel fibers contract in milliseconds, while thick polymer layers require minutes to react. The most common Polymer Gels are poly vinyl alcohol (PVA), polyacrylicacid (PAA) and polyacrylonitrile (PAN), etc. Chemtex Speciality Limited manufactures a wide range of industrial chemicals that in turn help in the smooth running of other industrial operations. Chemtex has been involved in manufacturing a variety of chelants and sequestrants for the past 45 years, among which polyphosphates have gained much appreciation from our clients worldwide. Polyphosphates serves as salts or esters of polymeric oxyanions formed from tetrahedral PO4 (phosphate) structural units linked together by sharing oxygen atoms.Polyphosphates arise by polymerization of phosphoric acid derivatives. The process begins with two phosphate units coming together in a condensation reaction.Polyphosphates function as water purification chemicals that are employed to rectify problems caused by inorganic groundwater contaminants such as iron, manganese, calcium, etc. and also for the preservation of water quality in distribution systems.Polyphosphates are well known for their function in the living organism but they find their application as a chelant or sequestrant in waste water treatment. Chemtex Speciality Limited manufactured product Sodium Polyacrylate can be referred to as a sodium salt of polyacrylic acid. It is also known as water lock. Sodium Polyacrylate functions as an anionic polyelectrolyte having negatively charged carboxylic groups in the main chain. While polyacrylic acids neutralized with sodium are still the most common form used in industry, but other salts also exist including potassium, lithium and ammonium. 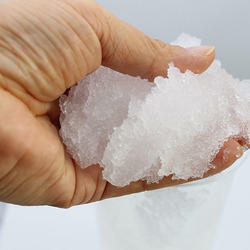 Sodium Polyacrylate is used as a sequestering agent in detergents which portrays its ability to bind hard-water elements, such as magnesium, iron, calcium and zinc, to make the detergents work more efficiently. Chelating agents help to neutralize the presence of heavy metals that are available in water, dirt and other substances found in laundry, making the detergent more effective in cleaning and neutralizing odors in clothes. It also functions as thickening agents or as super absorbent polymers. 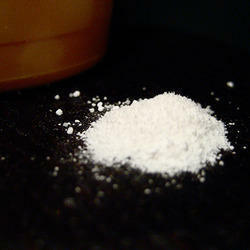 Sodium Polyacrylate also serves as the main ingredient in high-absorbency diapers. Super Absorbent polymers or SAP, also known as water absorbent polymer, manifests as polyacrylate based polymers that is characterized with the capacity of absorbing upto 800 times of DM water of its own weight. The ability of the Super Absorbent Polymer to absorb water is directed by the ionic concentration of the aqueous solution. 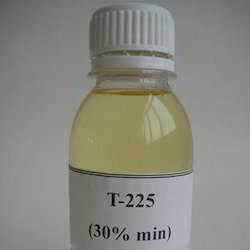 SAP can be used in various applications such as in baby diapers, adult protective underwear and sanitary napkins, composites and laminates, candles, diapers and incontinence garments, insecticides and herbicides, Fire-retardant gel, Hot & cold therapy pack, Water retention for supplying water to plants, Artificial Snow etc. The total capacity of absorbence and capacity of swelling are maintained by the type and degree of cross-linkers which are formulated into the gel. SAP has a softer and sticker gel formulation. Super Absorbent Polymer is also used for blocking water penetration in underground power or communications cable, control of spill and waste aqueous fluid, horticultural water retention agents, and artificial snow for motion picture and stage production. The Dispersing Chemicals are superiorly used for preventing system from fouling caused by the biological gathering of slimes, algae and bacterial deposits. On continuous usage of cooling towers, biofilms get generated on the surface due to microorganisms that can be eliminated by using these dispersing chemicals, which then is specifically called biodispersing chemicals. Our formulations are superlatively known for its features like improvise the efficacy of other biocides, compatible with all biocides and reduce the volume of micro biocides to be dosed. The chemical formulations offered by us are excellent in putting off Microbiologically Induced Corrosion (MIC). These chemicals are suitable to be utilized in air washers, evaporative condensers, cooling water heat exchangers, blow moulding machines, D.G. sets and various other machines. Water soluble polymers is a unique formulation of Chemtex Speciality Ltd, used in various applications of water treatment such as in coagulation, flocculation and dispersion applications. The total absorbing and swelling capacity of the polymer is controlled by the type and degree of cross-links used to make the gel. Water soluble polymers, which are considered as hydrogels when cross-linked, absorb aqueous solutions with the help of hydrogen bonding with water molecules. 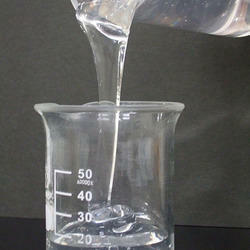 Low-density cross-linked Water soluble polymer generally has a higher absorbent capacity and swells to a larger degree. Chemtex Speciality Limited is an ISO 9001, ISO 14001 and OHSAS 18001 certified company that specializes in the manufacturing of water soluble polymers. It has also established itself to be among world's renowned multipurpose chemical exporter having its facility in India. Chemtex's greatest business vitality and strength are its technical and manufacturing knowledge and a well developed technical service team. Chemtex formulated product Anionic Polyacrylamide has been specifically designed for improvising the filtration and clarification processes in sugar processing. This organic based copolymer flocculant is effective in complex systems, which coagulate the solids and help in instantly forming flocs. This product is processed with higher prudency to make it applicable with any pH value range. This white colored powder is known for its matchless characteristics like improvising efficiency of clarifier, lower retention time, suitable for any pH range, reduce mud volume and compress filter cakes. This flocculant is ideally utilized in industrial waste water treatment, drinking water treatment, paper making industry and various other industries. 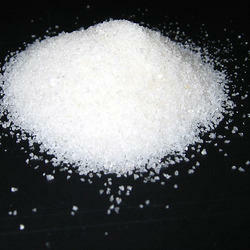 Acrylic Maleic Polymer is a high molecular weight copolymer of acrylic acid and maleic anhydride. It is highly effective as a dispersant and scale inhibitor in industrial water treatment such as RO antiscalant, textile dispersant, and cooling water scale inhibitor. It inhibits deposition of Ca/Mg salts (carbonates, sulphates), Barium sulphate and other low solubility salts, which are responsible for depositions of scales on surfaces. The high molecular weight polymer shows good activity over wide range of pH, high hardness and temperature without precipitation. 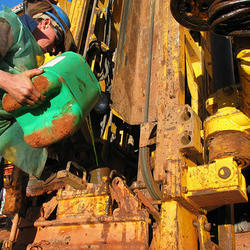 Drilling polymer is a high molecular weight polymer that controlling fluid loss and increasing drilling mud viscosity. Drilling polymer emulsion contains copolymer and is used primarily as a borehole stabilizer to prevent reactive shale and clay from swelling and sloughing. Drilling polymer emulsion is also added to low-solids drilling uids to increase lubricity, uid viscosity, and to improve carrying capacity of air/foam injection uids. Chemtex’s drilling polymer range includes PHPA based, polyglycol based. Each polymer for a specific application, maintaining viscosity in solid free drilling fluid and as bentonite extender in low solids non-dispersed mud to suspend weight material. PHPA is a white granular/powder form containing partially hydrolysed polyacrylamide/ polyacrylate (PHPA) copolymer of anionic character and high molecular weight. It is water-soluble and primarily used for reducing fluid loss, increasing viscosity of drilling mud and protecting shale and cutting in fresh water, calcium, sodium brines and mud systems. It maintains borehole stability by preventing shale swelling and erosion. Looking for Polymers & Phosphonates ?